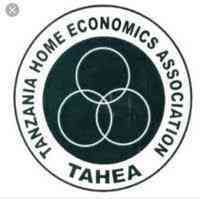 Background: Tanzania Home Economics Association (TAHEA), is a professional National Non Government Organization (NGO) founded in March, 1980. It ‘s registration no. is SO.6179 under the Tanzania Society Ordinance; it was regally registered in 1980, October the 14th, and later given the certificate of NGO Compliance No. 1732 of 4th December, 2006 under NGO Act. TAHEA Mwanza is a regional branch which is autonomous and works to address the local needs of Mwanza. TAHEA Mwanza facilitates development processes among resource poor families and communities, supporting them to utilize their potential to improve their living standards socially and economically. We support their full inclusion in the communities, We give them new knowledge and skills while acknowledging the potential within families and communities, we facilitate people, families and communities to enhance what they have. By changing attitudes and behaviors they themselves become the solution towards transforming their lives. We believe that education is a key factor to accelerate changes; TAHEA Mwanza continues to build capacities of community groups from target rural communities to equip them with capacities to deal with outside pulling factors towards individuals and community development as a whole. TAHEA Mwanza is a professional nongovernmental organization which has grown as an organization and in service provision for the past 27 years. We have made a difference in hard to reach communities where our services have continued to narrow the gaps of abject poverty. TAHEA is currently recruiting for the position of Project Coordinator for our Integrated School Readiness Programme (ISRP) which is typically an early childhood development programme. This programme builds on several years of TAHEA programming experience in early childhood development in Mwanza, Tanzania. The major technical focus of our direct programming is early stimulation and early years learning, with aspects of child protection, nutrition and health coming in as cross-cutting considerations with locally contextualized responses. The Project Coordinator will have the lead responsibility for the quality delivery of the ISRP Programme across impact districts (Currently being Ukerewe and Misungwi). This is contingent on effective coordination, supervision and capacity building of the Project Staff in programme delivery, as well as effective engagement and capacity building of regional administration and local government from the outset of the programme. The Project Coordinator would be responsible for the line management of field Officer(s) to ensure effective field work for quality programme delivery. • Leading responsibility for Programme performance against the results framework, rooted in effective results-based management approach and high standard of field work. • Ensure Programmeis delivered to high technical standards and demonstrates a cycle of continuous reflection, learning and development for the programme team and organization at large. • To provide management support and supervision to field Staff, ensuring high standard of ISRP Programme performance and reporting. • To strategically collaborate with regional administration and local government of ISRP Programme impact districts, seeking tosystemically integrate ECD programming into local government processes. • Focal responsibility to support operational management across ISRP Programme with particular emphasis on high level of accountability in programmes financial management and results-oriented performance management. • Leading the field Staff to adhere to all standard procedures of procurement by liaising with finance office and procurement office. • Comply with TAHEA Mwanza Safeguarding policies and procedures at all levels. • Liaise/link/cultivate good relationships between TAHEA Mwanza, CIC and the Local Government Authorities in the areas of ISRP project interventions. • Perform any other duties which may be assigned by ECD Programs Coordinator, Head of Programs and TAHEA Mwanza Regional Management Team. • Proven track record of at least 3 years NGO development programming implementation in Tanzanian context, especially project targeting child development (early childhood development experience will be added advantage). • Strong understanding and demonstrable experience of results-based management processes, including taking responsibility for MEL informing project management and development. • Demonstrable experience of providing effective programme coordination and targeted capacity-building project Staff to deliver project. • Strong understanding and demonstrable experience of working closely with local government structures, systems and strategic points of engagement to integrate programmatic priorities in local government processes. • Excellent written and oral communication skills in Swahili and English. • Minimum of a bachelor’s degree in relevant discipline (such as ECD, social sciences, development studies, other). • Only Qualified applicants will be shortlisted and invited for oral interview in May. You are encouraged to include your reliable mobile phone number (s) in the application form to easy communication. • TAHEA Mwanza is committed to safeguarding and child protection and expects all staff and volunteers to share this commitment. Background checks on this aspect will be conducted as part of recruitment process.